Coffee may be made up of beans (aka plants, Mother Nature’s ill begotten son) but that doesn’t make me a coffee connoisseur. If any, I am the anti-thesis of a cup of joe (bitchy and bland), which makes my non possession of the most coveted Starbucks planner my secret pride. 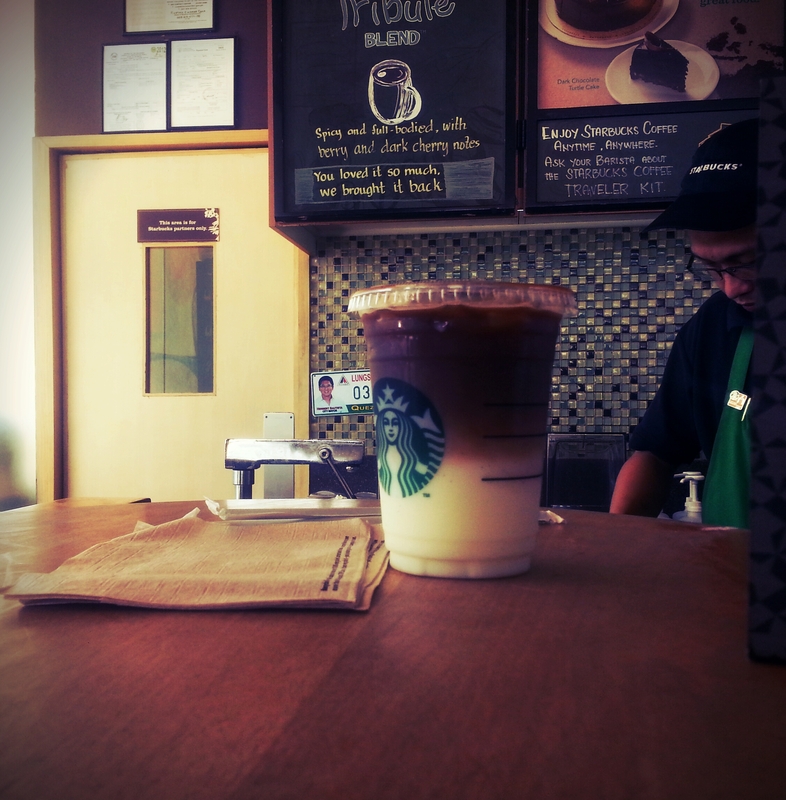 How I ended up with the newly introduced Starbucks Asian Dolce Latte is a long story filled with tardiness run-ins, barista showdowns and arm balancing acts. Quite adventurous but not worth the narration. To cut this epic short, I found a coupon for a buy-one-take-one Asian Dolce Latte redeemable at the Trinoma branches and since the Bakemon has been triggering my insomnia, this was just perfect. Let me explain the complexity of the drink: Asian because it is being launched only in Asia, Dolce for this sweet milk concoction that was made for the Asian taste (except me because I hate sweet) and Latte because of the milk composition—non fat thank you very much. The Asian part is stressed because the espresso shots are double the amount because Asians need to perk up because we tend to rise early and work hard. Of course that was a joke because as far as I know, I’m one heck of a lazy cat and no amount of caffeine will turn me into a powerhouse employee of the month. To properly assess the drink, I only have a line to impart: A strong dose of rich coffee coupled with the sweet velvety and creamy milk close to condensed; it is best paired with eggs or plain toast in the morning. That’s what I think, though I paired mine with a hefty tuna-cheese-lettuce-egg sandwich on wheat with loads of mustard. Perfection. 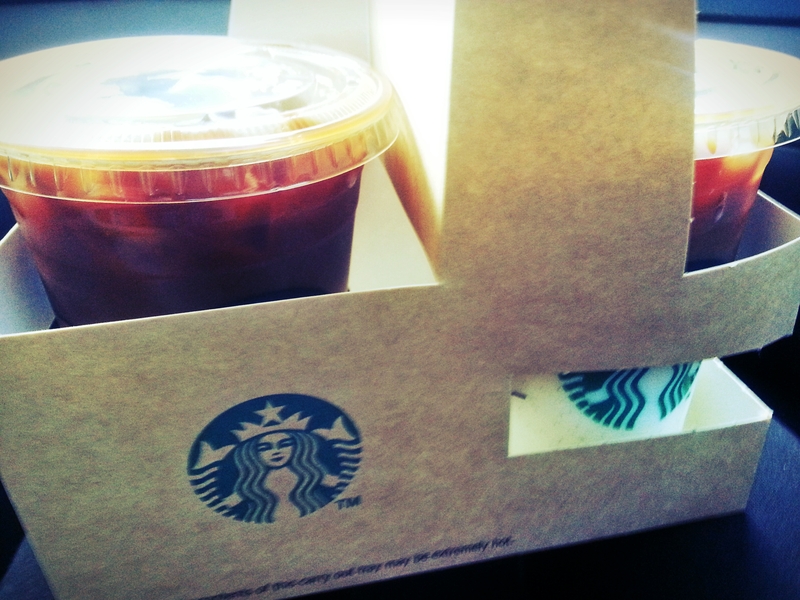 One grande iced Asian Dolce Latte, no whipped cream, half the dolce for the 100% lazy J.Anne, to go! Will I ever buy this drink again? Maybe if a coupon magically finds itself in my back pocket. But if say, magic isn’t for real (it is, right? 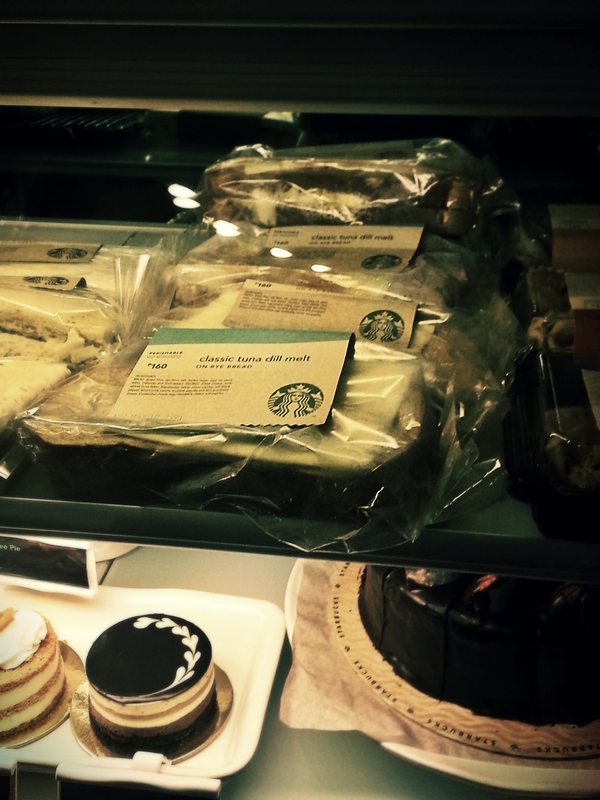 ), then I’d best off use my P160 for the Starbucks Classic Tuna Dill Melt. I warn you though that the Classic Tuna Dill Melt is not for everyone, especially those who hate boiled egg! That killer sandwich on what tasted like rye bread contains tuna dill salad, egg, cheese inside and mozzarella cheese on top (flavored with paprika). For me, this is Lenten Friday protein salvation for the suffering. It beats the grilled cheese sandwich when I’m looking for that “something else” inside and the egg-cheese combination makes its properly filling. For those who can’t stand the sight (and taste) of that hardboiled egg yolk, give it to me instead! I promise to pray for you in return. My conduct towards the rainy season (or shall I say Hagupit ng Habagat – sadly, I don’t know how to properly translate this) has been rather absurd. Rather than crave for ramen and curry, I’ve been going through a period of vast starvation and moments of just staring at my leaky ceiling. It’s all this not-a-typhoon-but-still-horrible-enough-to-qualify-as-Ondoy’s-mistress rain that has been pouring with a bladder with no end. Stranded at home with no intent of release, I shudder at the thought having nothing to write about except Skyflakes or Cookie Crisp. I don’t suppose people would like to read about the magnificent water of Quezon City or how Timmy’s homemade boiled egg is just perfectly powdery either. Perfect for the weather that’s seasoning us with floodwater, flu and damp walls. So it’s best to stay within the monsoon theme and get warm, cozy and that liquid high. Sadly, I wish I were talking about the Hot and Sour Soup which has been discontinued by Knorr or Maggi (what a disappointment) but no, it’s best to make do with the only thing dry at home. And so I’ll let you in on what I’ve been hoarding recently—aside from water and boiled egg—Tea. Well that must sound like old news, I would admit, but since I’ve been dunking teabags here and there, throughout the day, I like to think that I have resuscitated the tea connoisseur that was once drowned milk tea. And I haven’t been hoarding the cheap kind, like that Nature’s Pride that claims to be green tea but tastes more like oolong, which isn’t that bad, just confusing. We also have the generic Lipton (Clear and Green) which I once adored for its wake-me-up power potential, but lately, has been dwindling in the caffeine aspect for no reason but economy. I’ve never come to appreciate that “Hirameki” Yellow Label Tea because I find its teeth-staining abilities rather off-putting. But enough with the bashing. 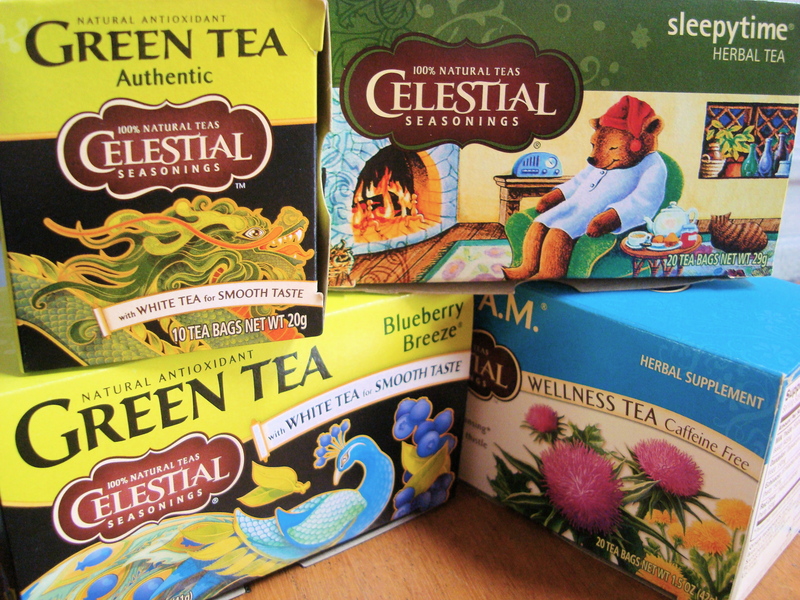 My stash has consisted of Celestial Seasonings variants (top photo from old post), partly because I find their packaging lovely and partly because they have Blueberry Breeze. Yes, if any, blame the blueberry on this one. 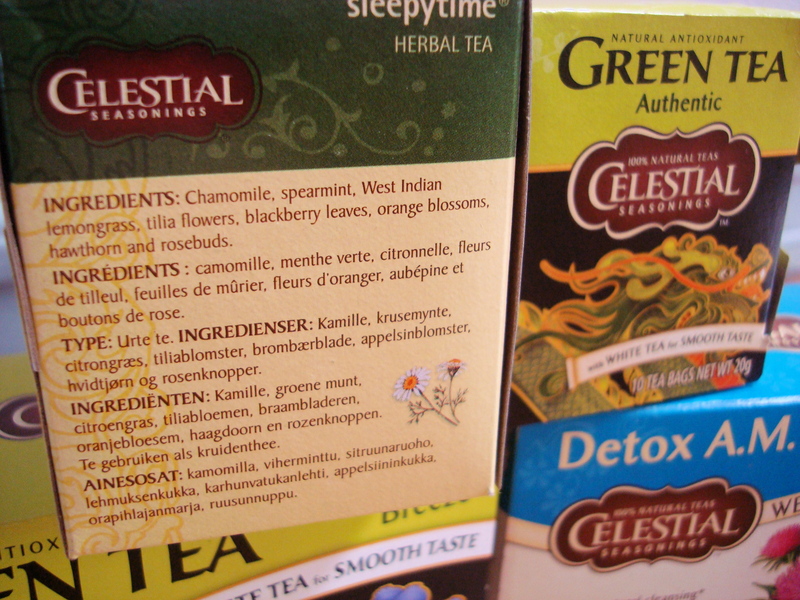 Of course, there are other companions: White Tea, Detox A.M. and Sleepytime Herbal. You can say that I’ve got all time periods covered. My motto: Tea, all-day, everyday. However, rather than bring your to a complete bore with a review on tea, I’ve decided to just list down 10 amazing facts (okay, not that amazing, just good-to-know and nice-to-hear which you’ll probably forget once the sun starts to shine again) that I enjoyed with my stash. Combining green tea with a fairly faint yet distinct flavor of blueberry, Blueberry Breeze makes it to my favorite tea of all time. It surely beats Lipton’s Green Tea Acai which immediately fades after the first steep. 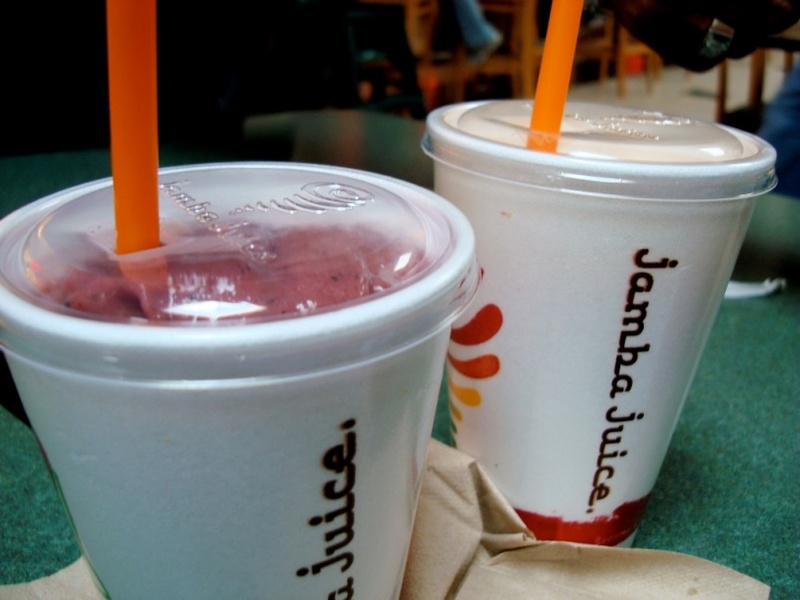 Not a good value for a well drinker, despite packing in that Acai greatness. 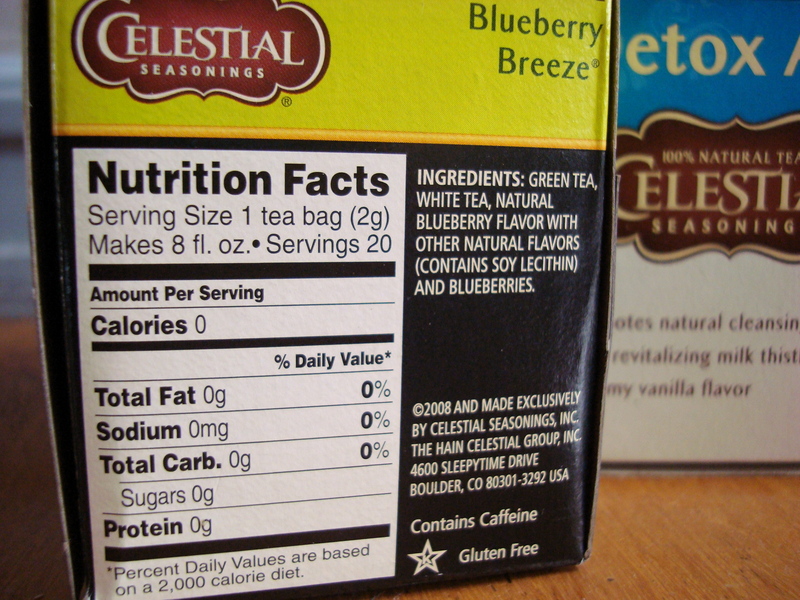 White tea is an essential tea variant for me, which is a component of many of Celestial Seasonings’ offerings. I have only seen Twining’s as another brand offering such, but the packaging makes me think of my grandma’s kitchen, so forget it. I do not have time to bring out a ceramic kettle with matching cups just to commemorate tea time. By the time I do, I’d be half asleep, my hair catching on fire. White tea is sometimes combined with green tea for that instant perk-me-up-because when meetings start to create a mental pillow in my head, either it’s that or I douse myself in ice cold water, which wouldn’t be too civilized in a corporate environment. The tea packs a bitter punch when steeped longer than usual, beating espresso and vodka, in the health department. Plus, no HR rules violated here and my palpitations will be kept within normal limits. Flavored tea helps on those days when the tolerance for bitter is just way down the scale (like when you’re about to get sick or are just feeling angsty about the traffic). Rather than reaching for juice or fruity teas, it’s best to dunk a teabag and drown it to your heart’s content. Beware the temperature though. I have been a victim far too many times from my enthusiasm and do not care if blowing furiously on my cup purports bad manners or blows germs in the air. Either way, it’s for my protection. Ah yes, ingredients straight from Professor Snape’s Potions class! 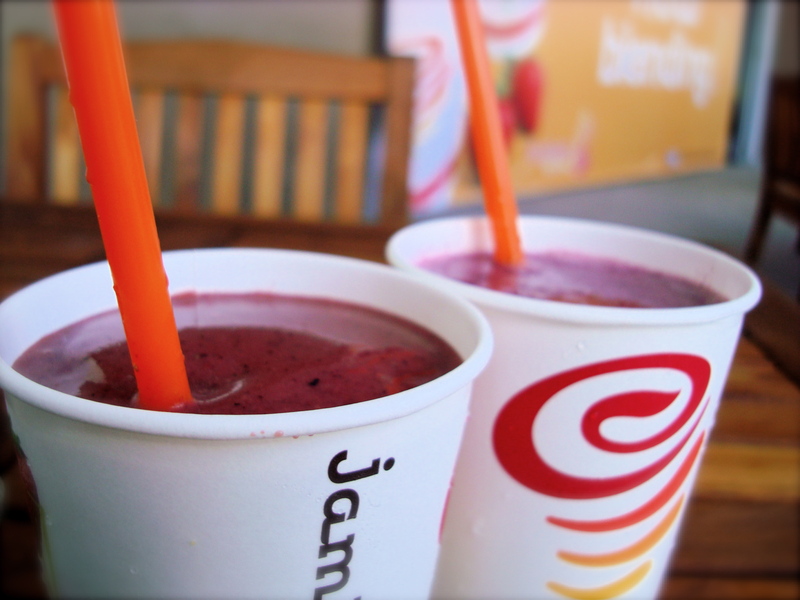 The Detox A.M. helps with the morning rush, in case there’s isn’t any. Sleepytime is the best boost for sleep for those who’ve had too much fun, too much food or just too much to think about before sleeping. When the sheep can’t help, the try counting tea leaves instead. That should put you out in a jiffy. 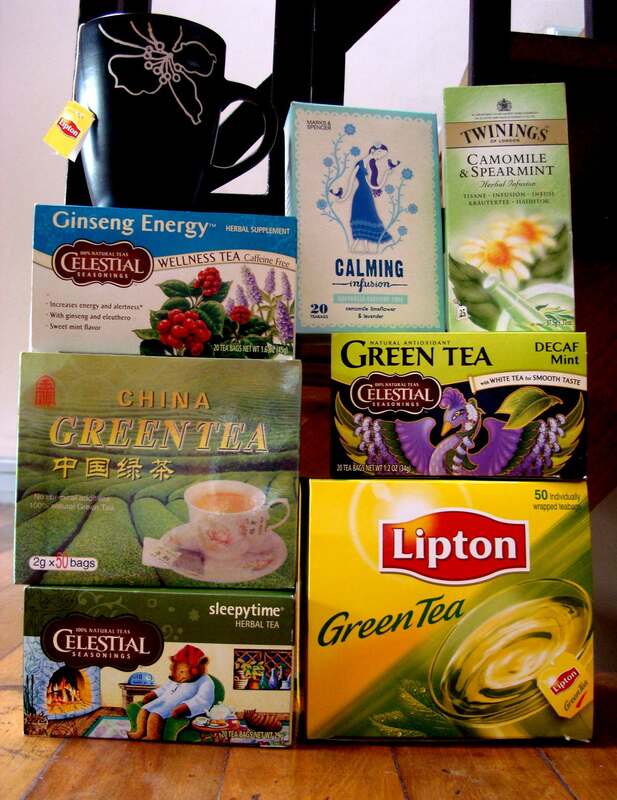 The tea sleep enhancer works better than melatonin, sleeping pills, and cough syrup because its sole component is tea. Herbal and organic, you’ll know that when you wake up, there won’t be a zombie facing you in the mirror. Works better than a punch in the face. No black eye too! Another perk of the tea is that it gets you to sleep, helps with the digestion process and relieves/relaxes the stomach. That’s like the combination of 3 different pills and a glass of water. But with tea, you’re guaranteed not to pee at 3am, unless you don’t care because you’re over 70. Lastly, there are other variants for perk-me-up, dozing off, half-and-half chill and K.O. that it’s best that you be your own judge. Tea isn’t that bad—bitter for many, digestion-altering for some—but on the whole, is a grand experience for anyone who just loves to drink. Just like water, but with benefits. Don’t get swept by bottles and sugary finds, plain teabags are still the way to go, and you can squeeze them until the very last miniscule leaf and that’s economy for the Third World. Some may taste funny or curiously like flora and fauna, but waive these strange flavors for the ultimate benefit of health and wellness. And weird weather has been strangely bipolar, I don’t need to invest in ramen or force-palpitate myself with coffee, tea’s got that “warmth” covered. And best of all, being the Lazy Black Cat that I am, a few steps to the water dispenser and everything’s in the bag. The last spiel has earned me gawks and sneers that the cashier will certainly mark as the zaniest she has encountered in her front-office life, but if I had the time, I’d certainly have told her, better my decisive and time-saving action than the band of kids behind me dishing out statements that sound like “Ummm”, “Hmmm” and all other rhymes. It seems that it will take her forever to get them to order, unless they head for cover at the nearest McDonald’s. Yet again I digress from my feature photo. 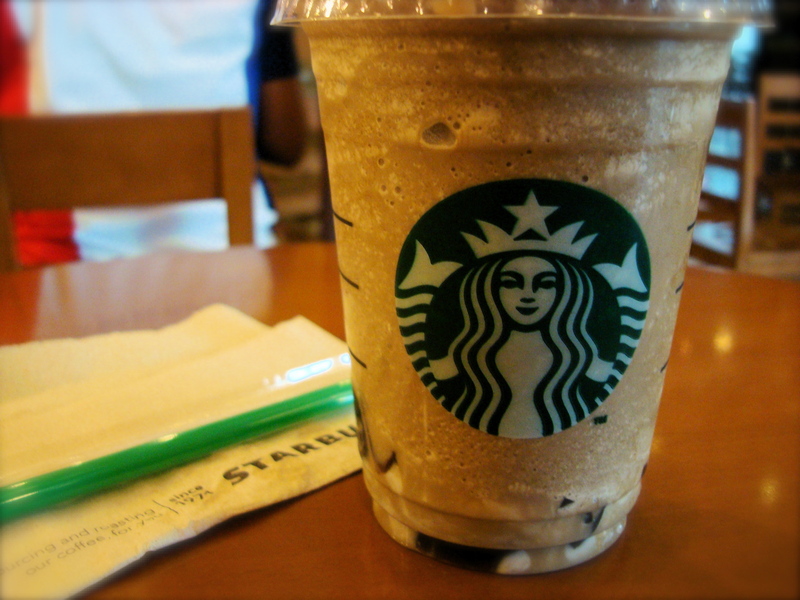 Starbucks Hojicha. I have not been to Starbucks for a while, and curious about this Hojicha drink which has been flooding my dreams and consciousness, I’ve decided to finally confront this poster drink. 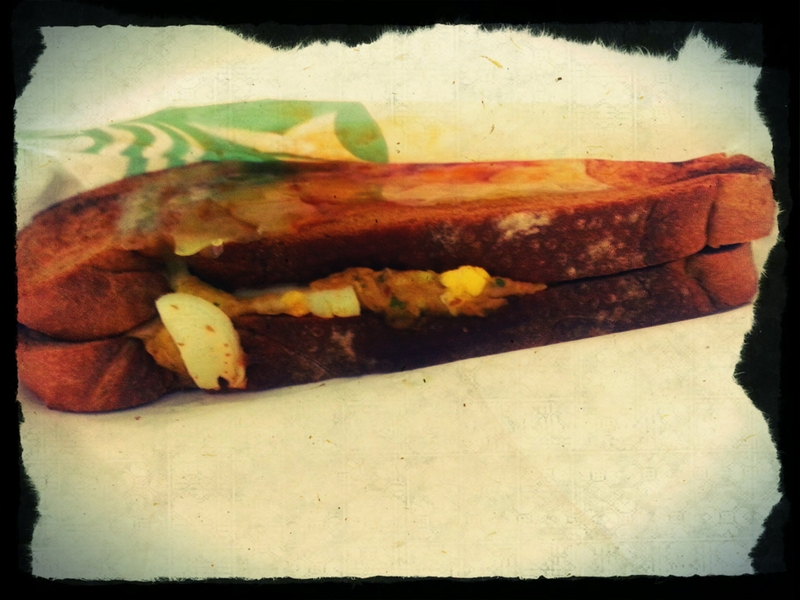 Resuming an upper class stance, I’ve decided to drop the hoi polloi Moonleaf mindset, put on my best English and go for “One Grande non fat Hojicha Frap with Earl Grey Jelly for J.Anne!” and since it was lunch, that chicken pesto on panini which looked quite enticing in that flat presentation. The Hojicha came sans the cream, sugoi! But that was the best part out of this hoj-experience. If I were to rename this gloriously presented drink, it would be: 110% Sweet Earl Grey Frap, further sweetened by the Earl Grey Jelly. This is best partnered with something horribly bland and crisp, and I am glad I went for panini than the Oreo Cheesecake that was winking at me from the chiller. 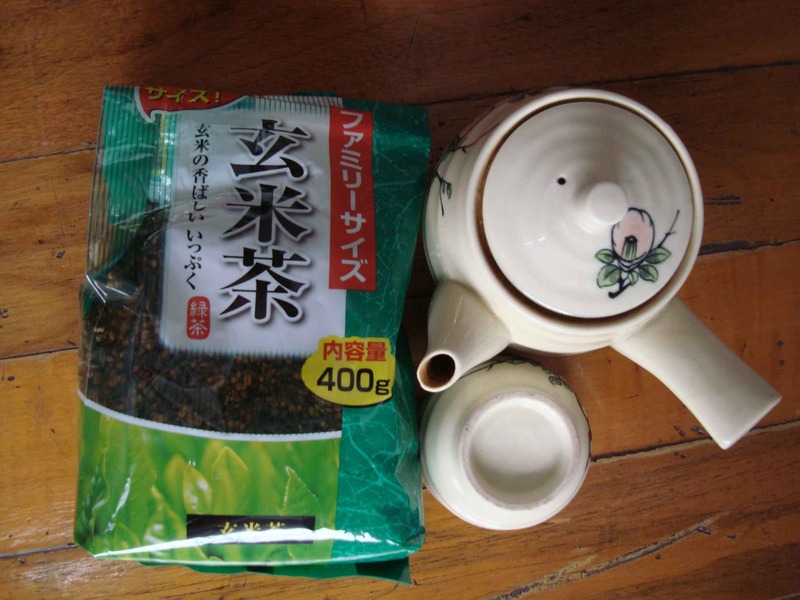 In terms of the tea flavor, the Hojicha is certainly the supreme being that perhaps contains 10 teabags worth of tea which would please the Queen of England. Being used to mildly sweetened to bland drinks, the Hojicha certainly blasted my system to hyper-sugar mode—though I needed it at that time, reliving Tom Hanks in his The Terminal experience. Other than this outlier experience, I believe that should I have a tea fix, I would resume to my eternal favorite, the one drink that will never let me down, despite horrendous exams and long drives: Green Tea Frap without whipped cream. 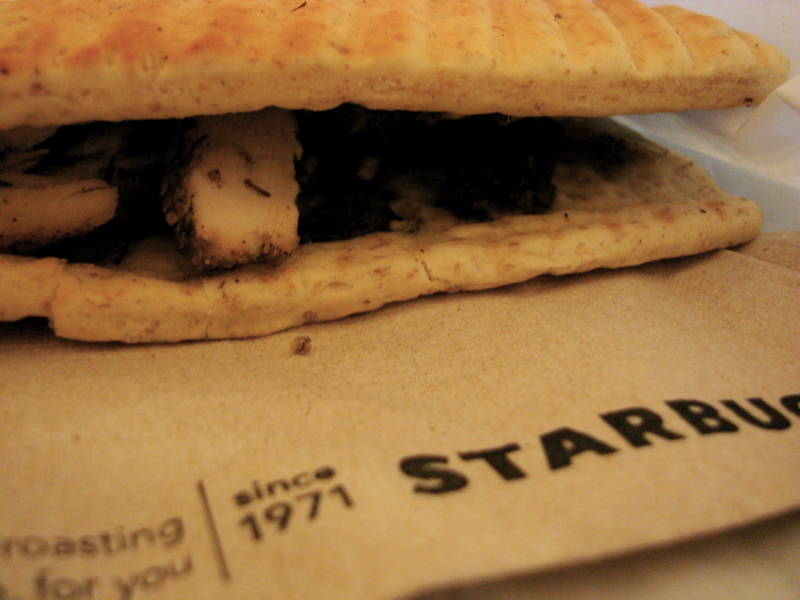 As for that chicken pesto panini, the actual name escapes my mind. Perhaps my subconscious decided to bury it in my mental oblivion since it wasn’t that spectacular to begin with. I’ve had other better tasting and worth recalling Starbucks sandwiches and this surely isn’t one of them. Filled with chicken, pesto and cheese, it was hmmm-kay but not dream-worthy. Especially when it’s something I can replicate at home. But still, I am sure glad I didn’t go for that Oreo Cheesecake or the bathroom would’ve been my destination and not China. As I read my previous top milk tea list (Got Tea? 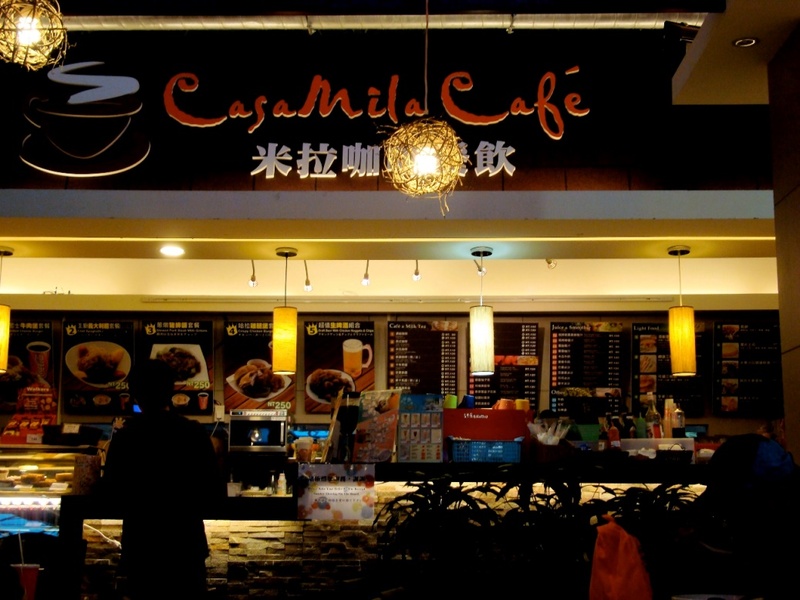 Top 5 Milk Tea Joints in Metro Manila), circa September 2011, I cringe and apologize for showing inexperience and passing off this passé list as a work of a tea connoisseur. Evil dazes and big question marks met my shallow judgment, and I admit that Kozui made it to the list because I found its green tea-inspired theme so kawaii (“cute”)! 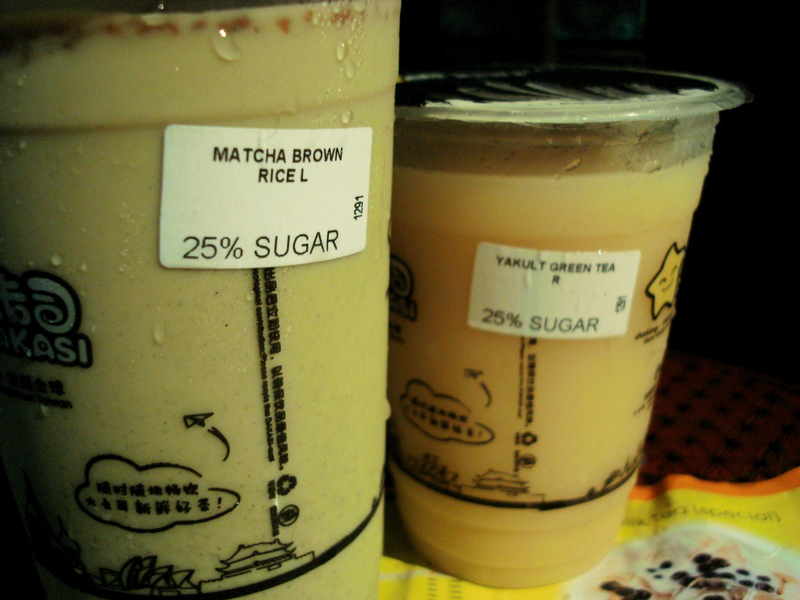 The superficiality and naiveté have got to end, and so I proudly bring out the 2011 Top 6 Milk Teas in Manila v2. 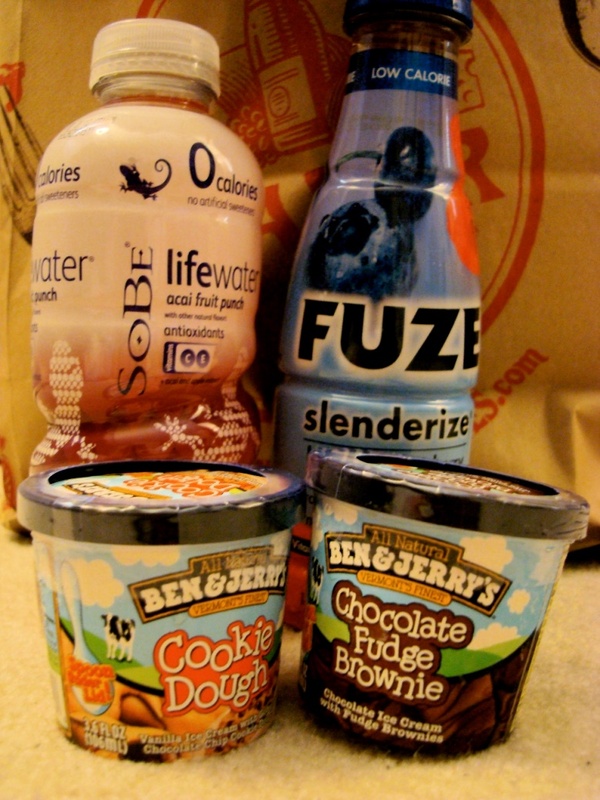 No list is perfect, as no taste buds are alike, so treat it as a guide to this cat’s pet drinks to end 2011. Before you read on though, please not that I am disorganized, hate tapioca pearls, have a propensity to misquote prices and detest sugar, extra sweetness and creaminess—which my list will considerably reflect. Other than these flaws, tea is my next favorite drink to water, and so I wage war to those who screw up this life-changing brew. 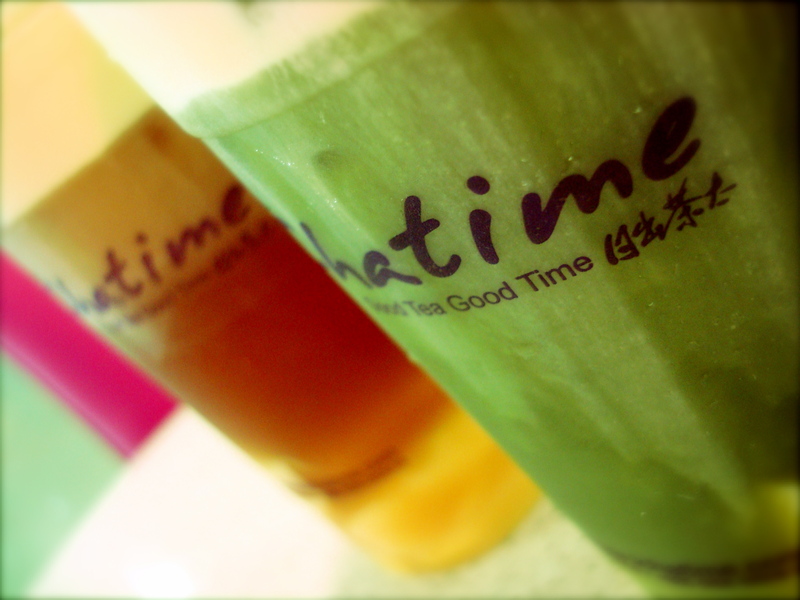 Chatime remains as the undisputed milk tea provider as it combines price, flavor, variety and location. The customizable ice setting brings bias to my decision, being constantly allergic to ice-dominant drinks. Chatime’s got mousse, frap-like concoctions, milk teas, fruit teas and the add-ons that you’d expect from the typical milk tea fares—in large servings, so P100 already ensures one mighty burp. A loyal patron of the matcha mousse with pudding, I’d brave storms just to order this comfort drink. With an extensive offering that includes interesting and novel categories such as QQ Jelly and Oriental Pop Teas, I ought to live beside a branch. 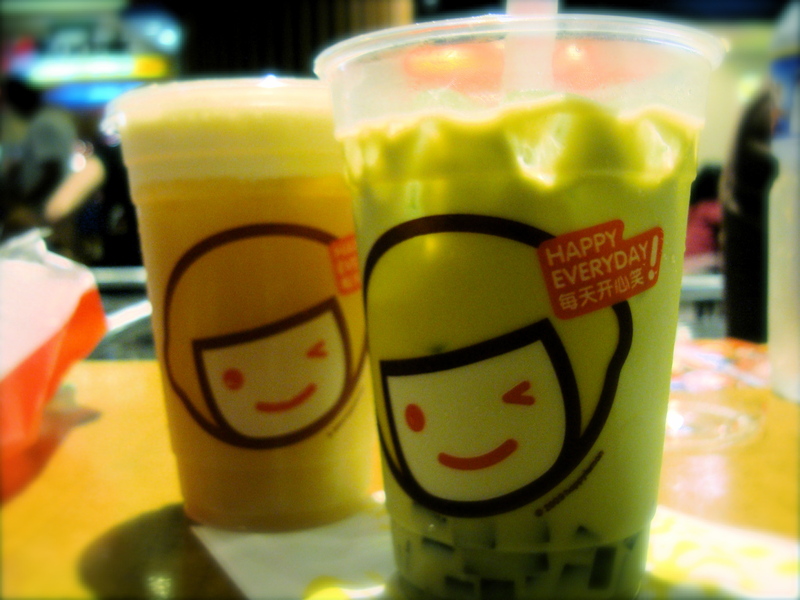 With newly opened branch in Unimart, uh-oh, Happy Lemon’s got one less reason to be happy. 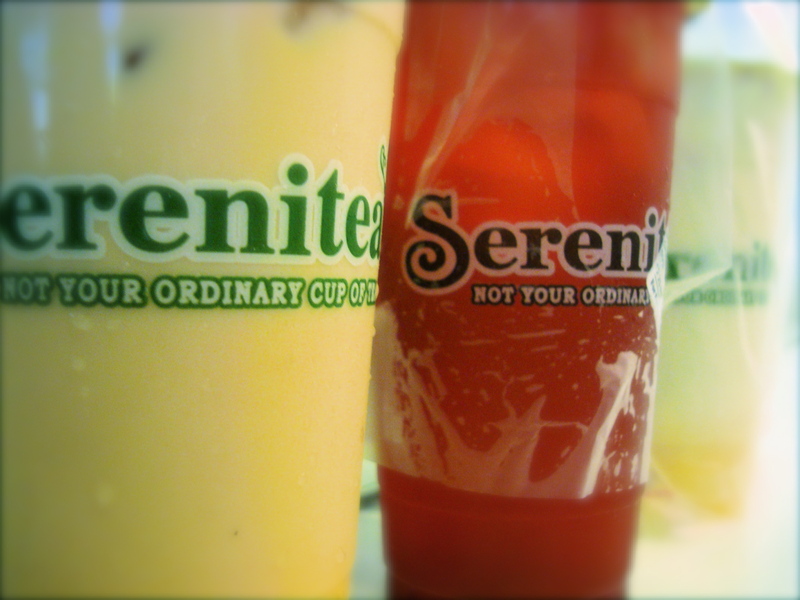 Serenitea brews teas right in front of you, so as far as “organic” goes this has got to be the closest to Mother Nature’s green heart. 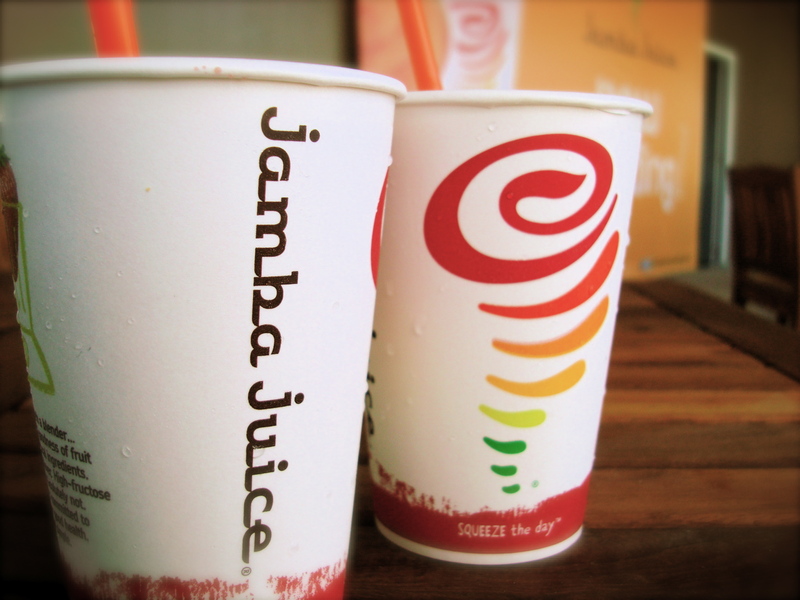 With roasted rice and whatnot topping the drinks, there’s the feeling of natural goodness that every cup delivers. Going 0% sweetness wouldn’t be a problem because the tea’s flavor is strong, vibrant and soothing. Spying the Serenitea branch along Jupiter was awesome sight for the Makati dwellers and workers, who need a break from the sugar-infested drinks and syrupy fares of the central business district. Genmaicha Tea Latte makes my top list, and with pepper tofu, potato and chicken chops in the menu, not to mention Amaretto Tea Latte, there’s always a reason to find peace in Serenitea. Gong Cha collects lines for a living because every Gong Cha branch is perhaps never without a patron. Gong Cha offers milk teas, even “creams” up drinks for the non tea lover and offers fancy combinations (creative mixes) for the adventurous. Youngsters and yuppies may find delight in the ice cream and coffee offerings, so it has evolved into a tea-coffee place that can’t do without cream. Gong Cha’s tagline is probably: Location, location, location—and has effectively lived by this mantra. Properly situated, even in foodcourts, no one can ever “not” find Gong Cha. It finds you, and so popularity vote goes to this one. This will sound very immature but I have to say it still: Chris Tiu’s milk tea place. Chris Tiu + kawaii-sounding drink names in that signature smiley cup are enough to send giggly girls flocking to Happy Lemon. In Eastwood, Greenhills, etc. 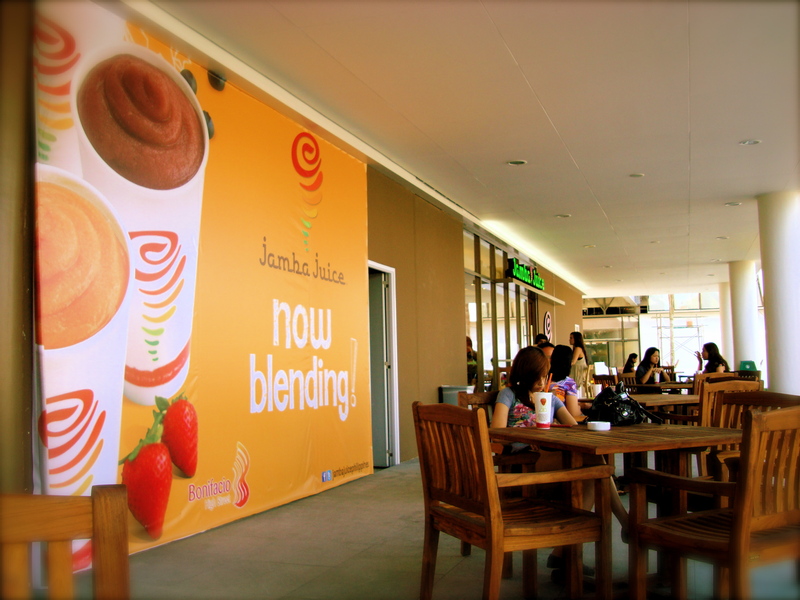 and soon in Trinoma, expect kids to arrive in hordes and sample the “rock salt and cheese” everyone’s talking about. 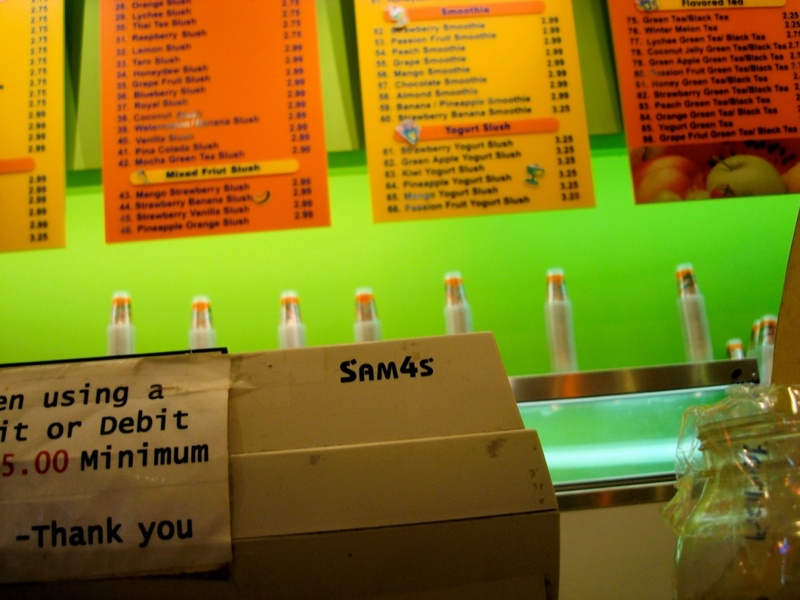 The fancy names do live up to their expectations and produce fun and delightful drinks. I’ve found much love with my Matcha faves (matcha with adzuki bean and pudding and matcha with malt). From yakult to yogurt and lemon series, there’s a lot more reason to visit Happy Lemon than just basketball and boys. Cha Dao is amazingly cheap, you can expect change for P100—and we’re talking Large with add-ons already! Assam and Wintermelon are crowd pleasers, but you can still expect the common favorites: Green tea, matcha, oolong, chocolate and classic. Why, they even have Kopiko – so very Pinoy! Black sugar seems to be their not-so-secret ingredient, while the popping bobba as an add-on is sure to be a favorite (count me in). A locally established joint and based mainly in the Quezon City area, now there’s more reason to chill at home. Oh yeah, they deliver too! 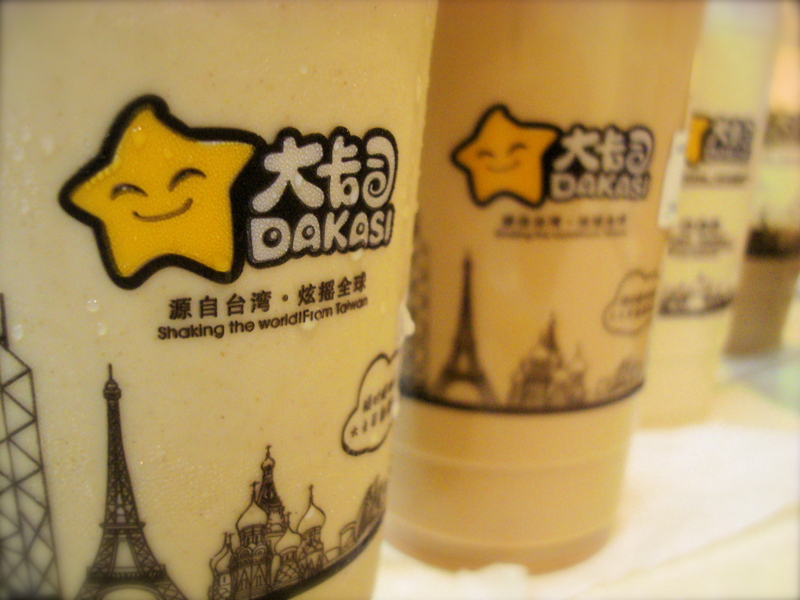 Flying to the moon may be a rare occurrence, but finding a P55 milk tea in Manila isn’t. Moonleaf’s got a pretty simplified menu scheme, 2 price segments (P45 and P55) for the drinks and add-ons—all offered in those XL cups (they’re really huge). Wintermelon’s still on the list but so is my new favorite Oolong. Don’t be hasty in judging the giant coolers; they contain fabulous and tasty brews of various teas (like Jasmine and Black). Student’s choice award would probably go to Moonleaf as it bests others in terms of price, location (scattered in Diliman area, among other places) and taste (rich in flavor and caffeine). Note for the insomniac: Do not consume after 3pm or you’ll end up a zombie like I did! Note for the students: Now you can party, errrr, study all night! That’s it for my Best 6 for 2011. 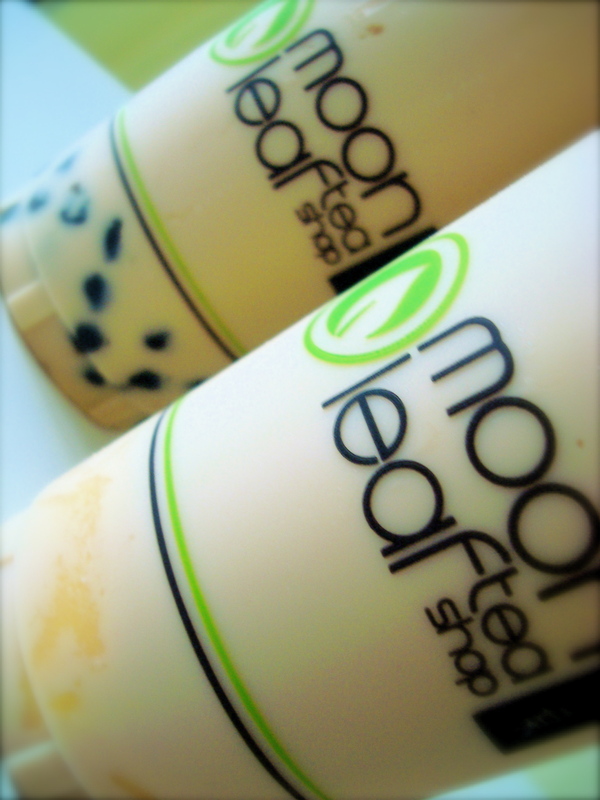 I ended up with 6 because I couldn’t choose between Cha Dao and Moonleaf, so I included them both! 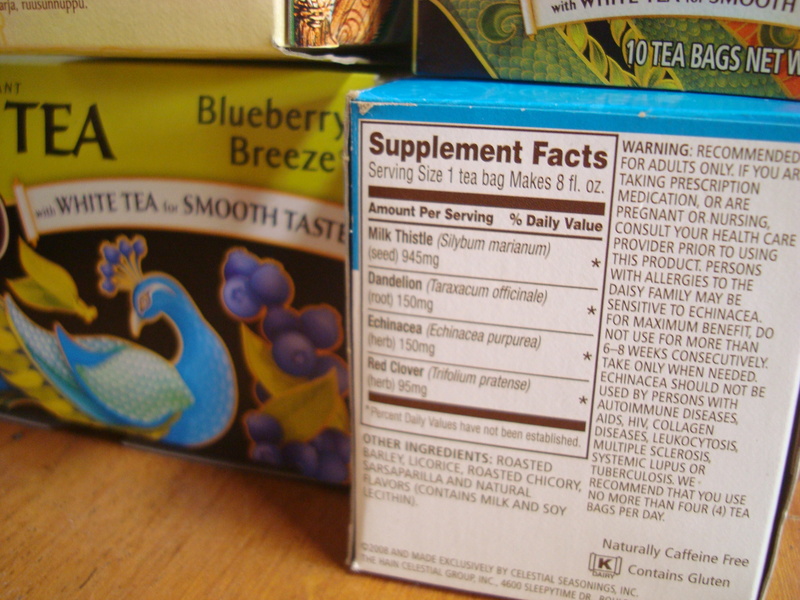 Many haters may distrust milk teas and deem them ‘’faddish drinks cloaked in Asian health myths” but since they contain mainly milk, tea, ice and some sweetener, can’t say they’re detrimental to our health either. 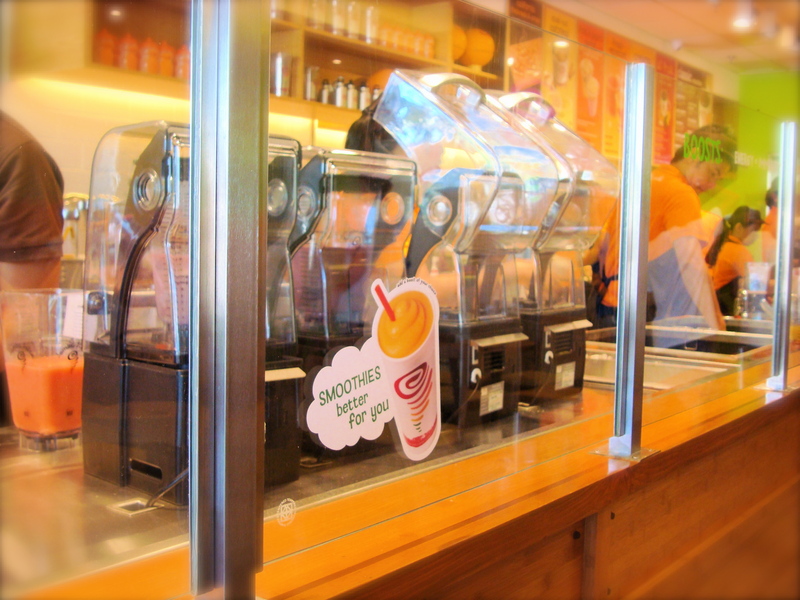 With inexpensive choices available and unsweetened varieties part of the menus, the appeal is compelling and universal. At least they taste better than coffee (for me), supposedly harbor less calories than frozen yogurt and sit well with the budget friendly. 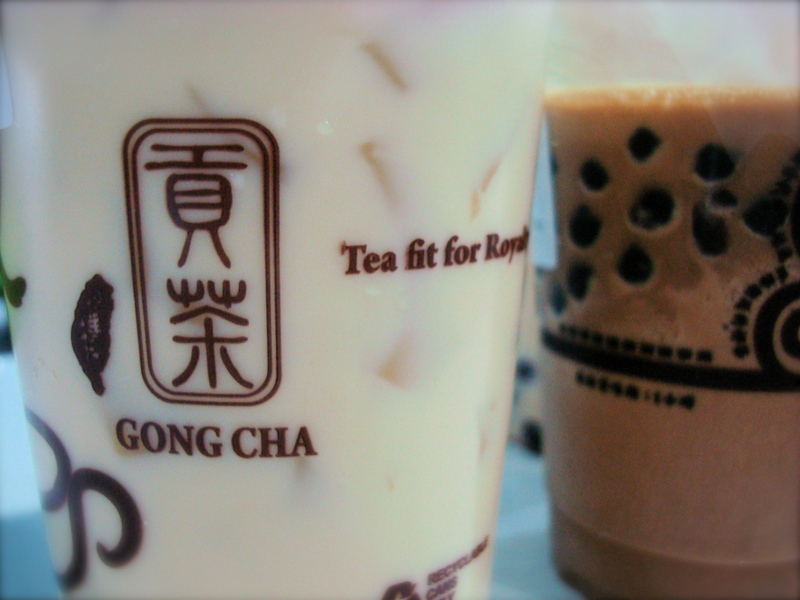 Gong Cha: Going, Going, Gong Cha! If you’re going to make saintly references to teahouses, you might as well serve drinks that are so heavenly, people would squeal, “Holy cow, I love it!” in delight. 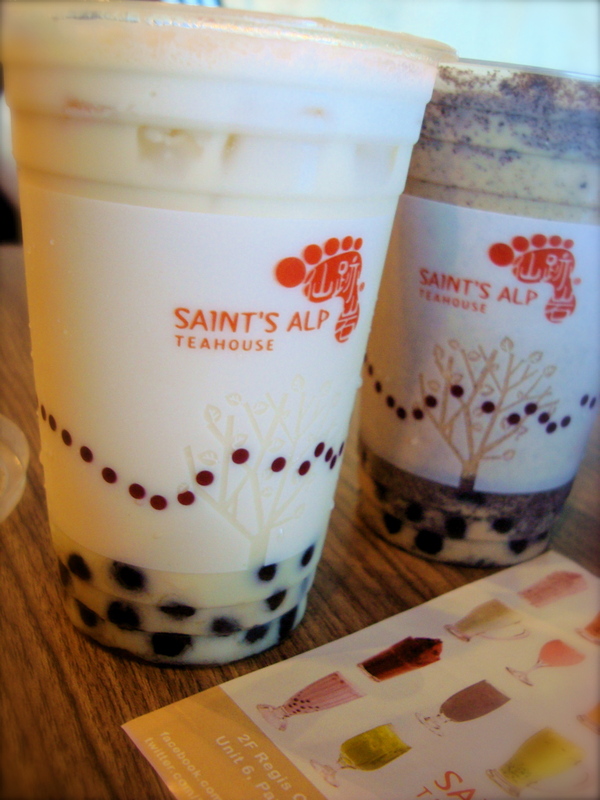 Saint’s Alp Teahouse at 2F Regis Center, Katipunan didn’t get us close to squealing, isn’t situated on a snowy hilltop or is even close to one and is far from heavenly as far as taste goes. We might as well call it Mortal’s Alp, though this particular mortal will think twice before coming back. So to answer a potential question: No, I don’t suppose Saints congregate and have tea at this place. I surely didn’t see one when I went there. They’re afraid that if they do linger, they’d choke on the tapioca pearls and become mortals again. 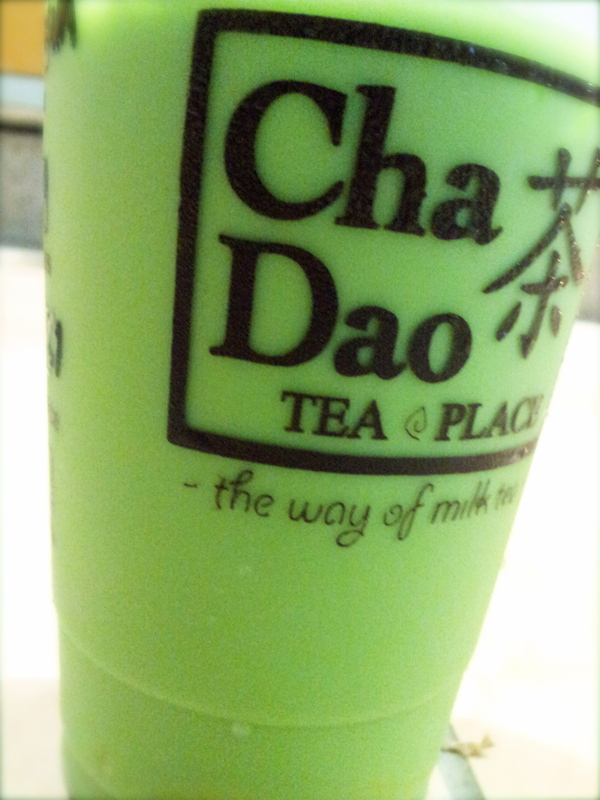 The Green Tea with Milk (Regular P105) came with tapioca pearls voluminous enough to clog my esophagus. 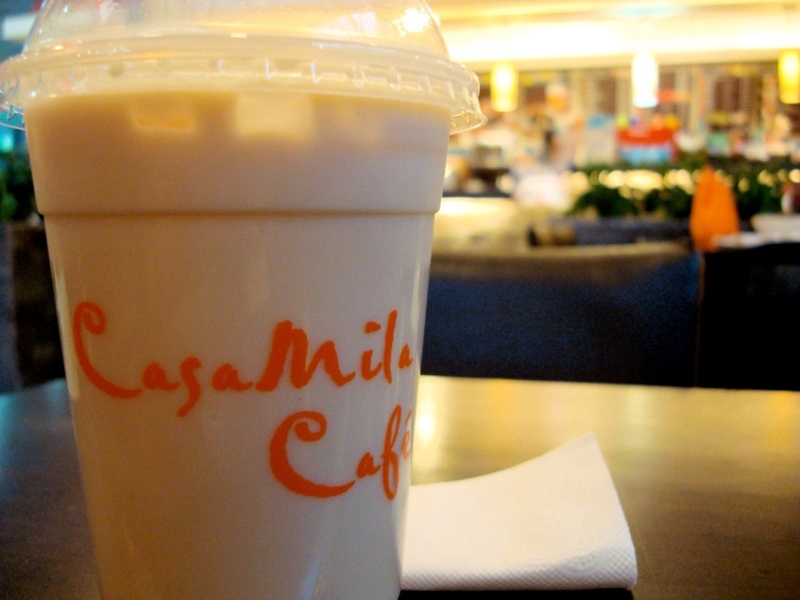 The milk tea’s sweetness was on the median side, but tasted more like jasmine. I sprinkled a bit of Matcha powder on top, with the hope of bringing out more green tea flavor, but it turned to jelly the moment it hit the liquid. I ended up having messy green residue that wouldn’t stick to the straw and tapioca pearls that I wished the Saints had never invented. The Oreo (Black) Milk Tea (Regular P115) obviously tasted like oreo, barely the tea. The pearls have a way of hogging the spotlight from the oreo bits, which is a really a nuisance especially for the oreo lover. And I admit, the place doesn’t offer pudding, the only add-on I recognize, so my bias is sure to reach the heavens. 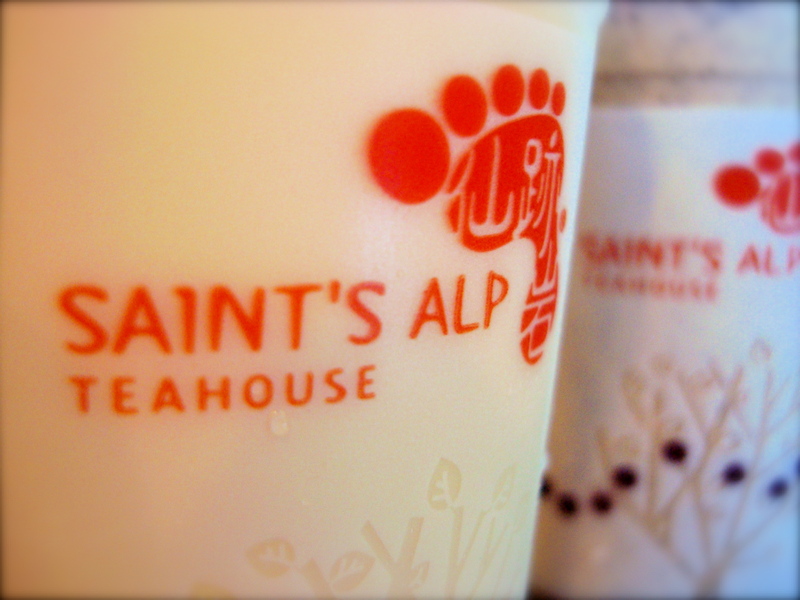 Saint’s Alp veers away from the common milk tea trend by 1) Offering unusual add-ons such as agar and wheat germ, but not my favorite pudding, 2) Having no customizable sugar/ice settings, 3) Serving drinks in real glasses (making me Mother Earth’s killer having opted for a plastic cup), and 4) Displaying an extensive selection that includes breakfast, salad, toast, rice, milkshakes in its vast menu with font not-made-to-be-read by the near-sighted. On a Saturday afternoon, the place was half full with a reasonable turnover of wi-fi seeking and chatty youngsters, who seemed to love their pearls as much as their highlights and gadgets. Good for them. With other milk tea places closer to home and at the malls – cheaper and provide a more delightful experience – I don’t suppose I’ll be climbing this Alp again soon. Unless you call it something more relatable and appropriate, like Mortal’s Mountain or Cat’s Alp. For those highly prone to get lost in those long-sounding Filipino adjectives of Teacher’s Village, welcome to the club! Maginhawa, Magiting, Mapagkawanggawa, Mabait.. My God! Pronouncing them is difficult enough, but to remember the intersections and landmarks is pure madness, a crisis for the geographically challenged. I propose adding easy-to-remember street names such as Matakaw or Mataba. They have better appeal too, especially for restaurants, but I digress. 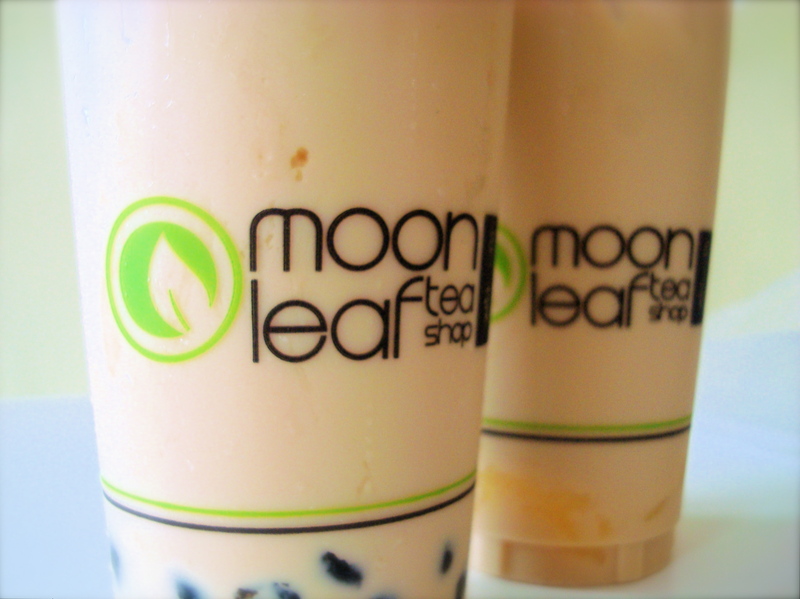 Moonleaf Tea House was the reason for this navigation challenge. Described as along Maginhawa St., Teacher’s Village – that alone was vague, since Maginhawa is kind of a long winding road, which hosts denizens of other milk tea joints. Spotting Mini Stop at an intersection, we turned left (that was Magiting St.) and found the green Moonleaf logo at the right side, beside Fancy Cakes. 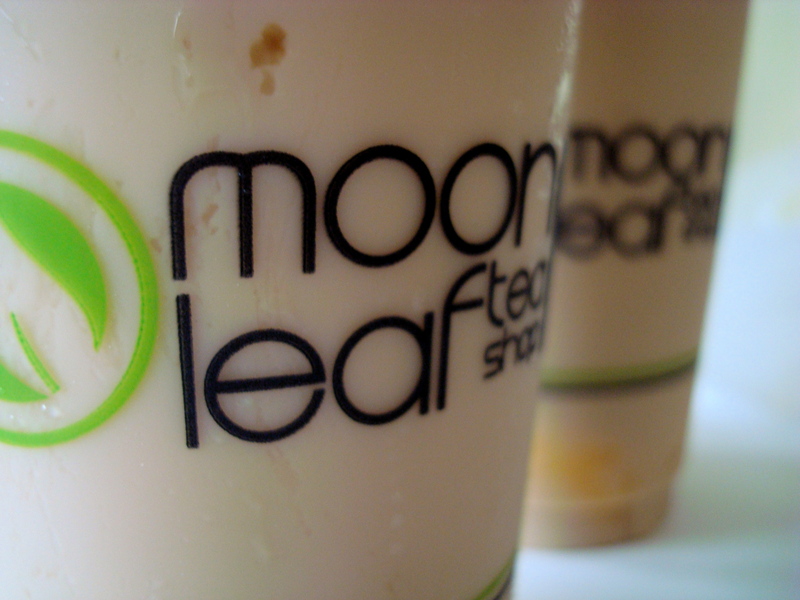 Basically it ought to be called Moonleaf along Magiting, but probably Maginhawa has scored a higher popularity score at the polls, making it a more desirable address name. It doesn’t matter though because WE FOUND IT! Tea time! 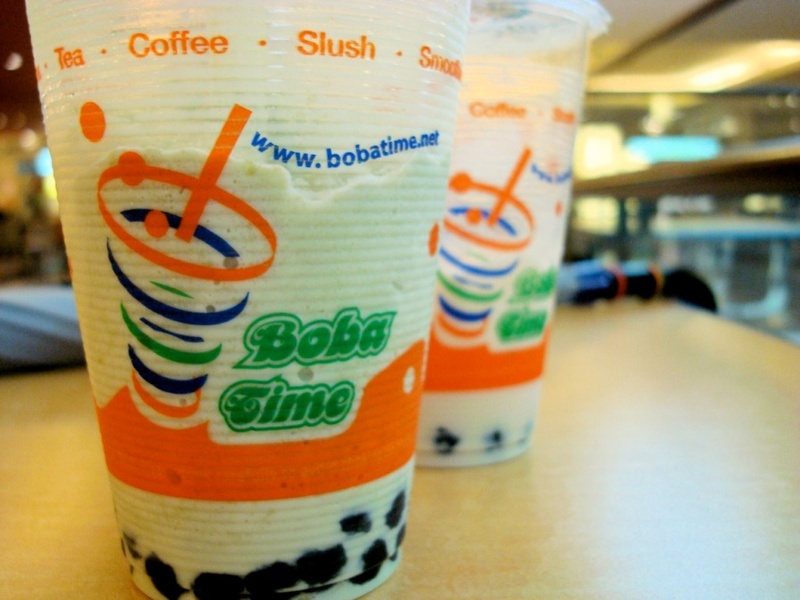 The popular choice for the day: Oolong Milk Tea! No one wanted to try the Jasmine or Black tea so Oolong it was. Oolong Milk Tea (P70) with Pudding or Pearls (+P10) was available in one size, but it was huge and not even a well could complain at the height of this cup. I suppose to-go was the trend at this place, having just a few seats that served as its waiting area. Brewing time was fast though and it was more like, checking my watch than waiting, texting and counting the change in my pocket. The ordered Oolong Milk Tea came with less sugar, giving emphasis to the Oolong Tea. Oolong happens to be my second favorite tea, next to green tea which wasn’t available in their menu. Nevertheless, the flavor was strong (translation: deliciously intense) yet properly complemented by the smooth and sweet taste of the milk. The overall blend bursts with flavor and tea-delight. The pudding is slightly soft – not sure if it’s Moonleaf’s version to mimic the consistency of “taho.” Maybe next time, I would try the Aloe Vera add-on (P15). The drink on its own though, is sweetly addictive, appealing and greatly filling. Nothing watered down or boringly bland going on in their gigantic tea coolers. I’m this close to mastering the map to Magiting, unless Moonleaf decides to land on the malls on its next sighting. Now that would really make me maligaya and masuwerte, but I don’t suppose mahirap would make it to the list! Cha Dao Tea Place along Maginhawa St. was seen as the only destination to ward off the potential mad November heat stroke. But no, we couldn’t go there because it was All Saints Day and we had to, well, do the more holy things required by law to make this holiday appear more official. The only solution to deal with the summer madness: Cha Dao to-go! Brilliant idea. I watched in fascination as 11 cups of milk tea were delivered, gulped in various degrees of thirst and delirium, and all finished in a matter of minutes, with matching burps and sighs. 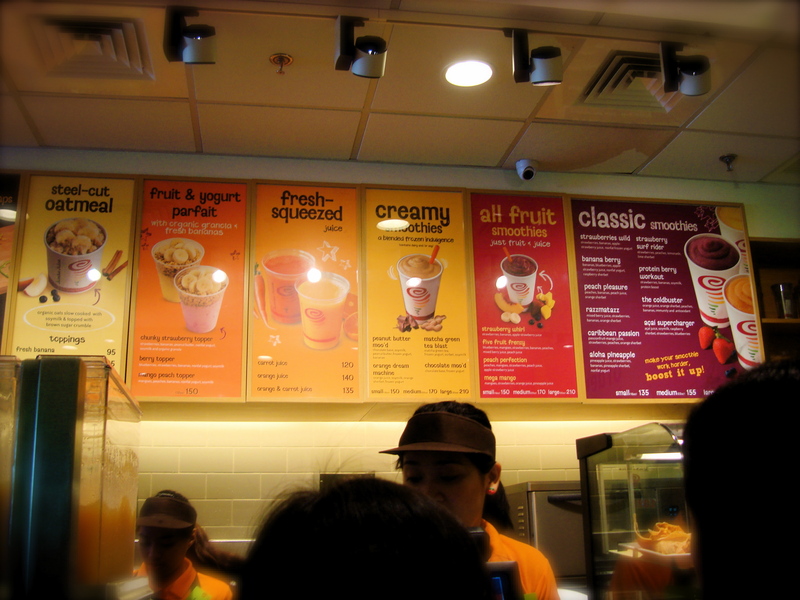 The assortment was colorful too: from chocolate to assam to the classic milk tea with extra, extra pearls. I had the Matcha with pudding, less sugar. It came with less ice too, after having been in transit for a few minutes, which I pretty much preferred since too cold a drink would be an invitation for a sore throat with this kind of weather. 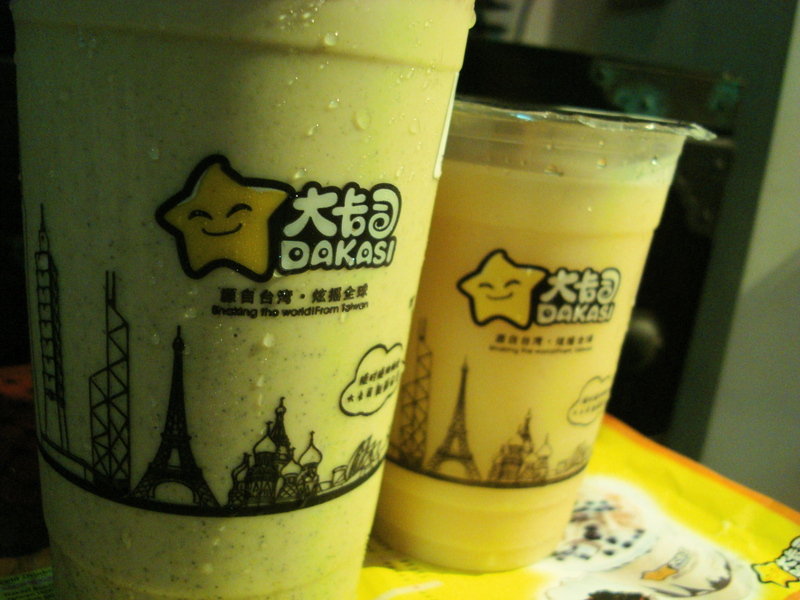 The matcha flavor was rather diluted by a combination of water, milk and perhaps the ice that had melted. The tea flavor was not as rich as other milk teas, but I spotted a hint of jasmine in the green tea that made it more “fruity” on the side. The egg pudding was all right – sweet and smooth. It might be safe to say that Cha Dao boasts of quantity over flavor, which might seem appealing to those more into the milk portion of milk teas, the tea novices and those who just like to go for that sweet milky drink. Without the egg pudding, this would’ve been a lighter drink and in that sense, a refreshing treat and life saver for those suffering in this unforgiving -ber month heat wave. 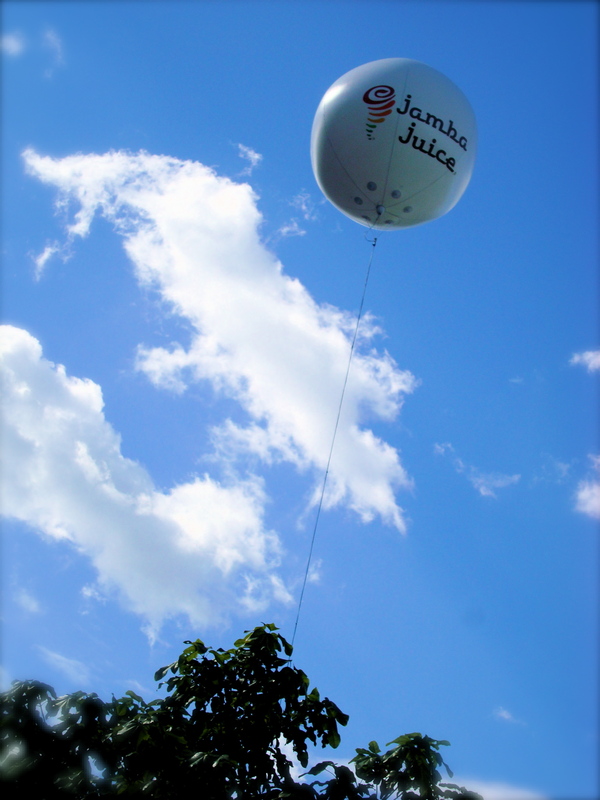 Best of all, it’s cheap and with branches scattered in the QC territory (Katipunan and Teacher’s Village – what joy). I guess it’s cheers to Cha Dao! *Do forgive the crappy photo. Dehydration prodded me to take pictures in haste.